By Arlene Magid. Lady Wentworth strove for decades to achieve what she considered to be the ultimate Arabian-a horse of type and extraordinary presence, with superb motion, and larger size to appeal to those for whom Arabians were a bit small. 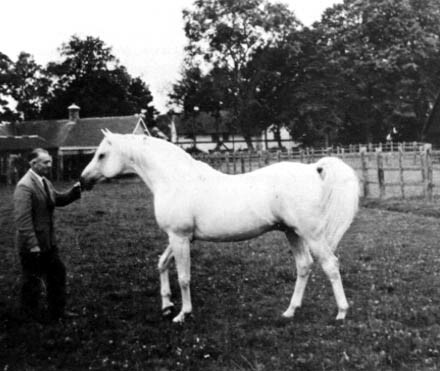 She bred her masterpiece in Indian Magic, foaled at Crabbet in 1944. He embodied the concept of the ‘Wentworth Superhorse’ and none who saw him could forget his dynamic qualities.